The Christmas party season is gearing up, and we have just the two cocktails that will get you started AND pick you up when you need rescuing the morning after! TO GET THE PARTY STARTED! Launching today via the Piccadilly Institute comes a fun Christmas cocktail called THE AVALANCHE! Not your average xmas cocktail it’s a banana and amaretto combination that will set your festive taste buds alive and the bit that we love best is that looks exactly like an avalanche. Accompanied with a Lego man skier, all we can say is Christmas has come early! Want to learn how to make it yourself? Of course you do, then you can impress all your mates with some pre-party festive cheer! Here’s the recipe! Prep glass with crushed ice; mix all ingredients together in a shaker and pour over. Top with extra crushed ice and garnish with crushed amaretto biscuit and place Lego skier delicately on top of the avalanche. TO RESCUE YOU THE NEXT DAY! FORGET THE BLOODY MARY! THIS IS THE ONLY DRINK YOU’LL NEED…. 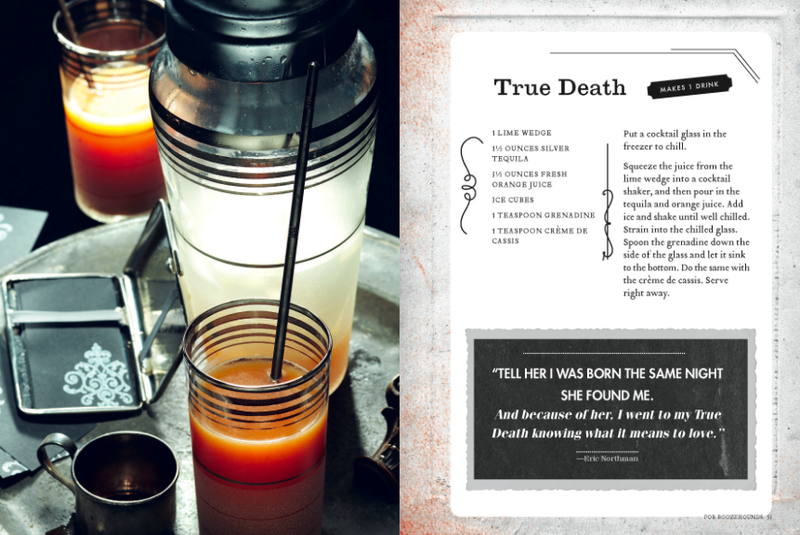 This cocktail packs the same punch as its mother Mary, but with 19 vitamins, minerals and natural herbal extracts in one can of Alibi, it’s a lot more nutritious and better tasting than Dot Cotton’s favourite fruit juice. Add all ingredients, except Alibi, to a cocktail shaker filled with cubed ice. Shake hard and strain into the glass. 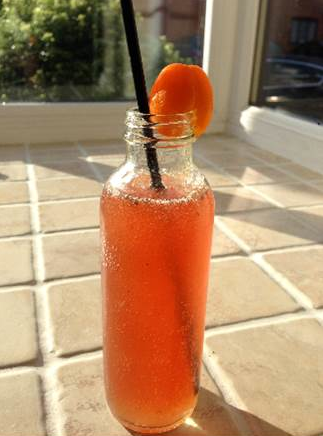 Top with Alibi Pomegranate and garnish with a cherry tomato. TA-DAH! There you have it, all you will need for the perfect party starter and pick me up the morning after! 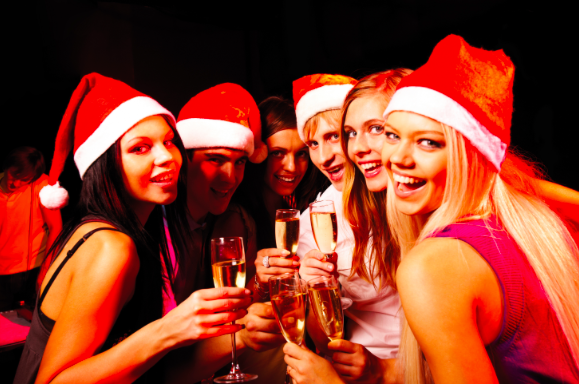 So the countdown to Christmas has really begun, dust off that LBD, shine those shoes and get celebrating! Entertaining in a big way, or just having a few friends over to watch scary movies (or the latest episode of True Blood! ), this is the only spell book you’ll need this Halloween. 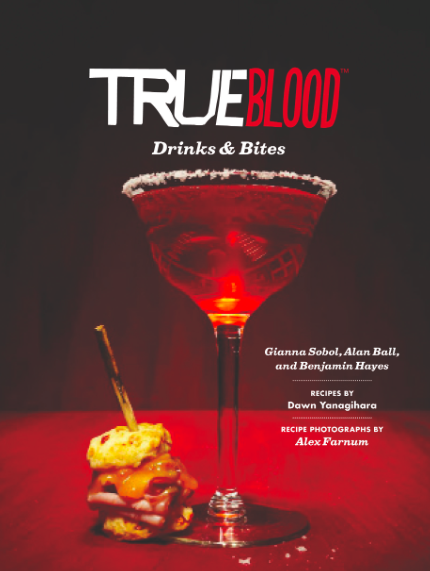 Featuring forty-five themed recipes inspired by the HBO® original series, and geared toward the ravenous fans who love to gather for weekly watch parties, True Blood Drinks & Bites is a spooky steal at just £11.99 from the HBO Store. 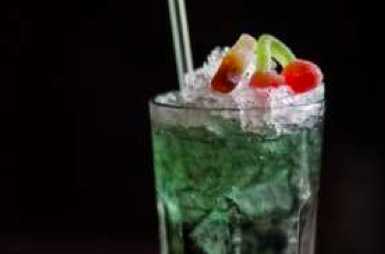 From often-ordered refreshments at Merlotte’s and Fangtasia to the Fortenberrys’ family recipes for the best finger foods around, here are mixed drinks for teetotalers and boozehounds alike plus bites for all appetites. Sip and nibble as the drama goes down onscreen, or quench your cravings in between episodes—how about Scorn Fritters and Cheese Stakes washed down with an ice-cold Spirit Lifter? Or a Maenad a Trois paired with Skinwalkers and Vamp Repellent? It’s a bayou buffet no Trubie can resist and you’ll be a Southern spirit in no time! Here’s another tantalising taster for you to try…. Well if you just cant sit still and watch something scary in your own home, maybe you’ll want to head out to the big bad, big smoke! This Halloween Foundation Bar in Covent Garden will be hosting a 28 Days Later Halloween event complete with Zombies on arrival and coloured contact lenses! And Bar Soho will be serving up some cocktails that will send a shiver down your spine at its very own Monster Ball, to get all London’s vampires, monsters, witches, and ghouls in the mood for Halloween. The cocktail recipes are below, and please find the full press release with images attached. Every Halloween is undoubtedly blood thirsty and this year is no exception. 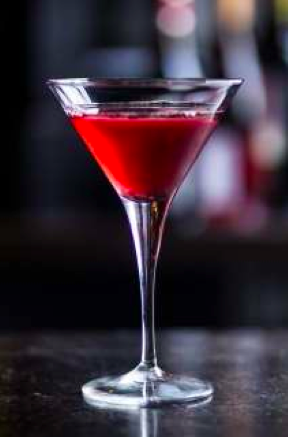 But stay away from the blood and try out a Dracula’s Kiss instead; a mixture of Eristoff vodka, Chambord, and cranberry juice. Elixir, Greek for sweet-flavoured liquid that heals wounds, is a perfect drink to accompany anyone who’s been hanging out with vampires. Eristoff vodka mixed with apricot brandy, lime juice, pomegranate juice- this cocktail certainly has healing powers. This Monsters Ink cocktail contains Bacardi Superior, Archers, Monster Energy and a healthy drop of Eristoff Black vodka that dribbles through the cocktail like an open wound. A frightfully daring brew of both Eristoff and Eristoff Black vodka mixed with Blue Curacao and apple juice, all topped off with extra sour sweets to make you cackle! So party season is not too far away, and all you budding bakers out there may need a bit of inspiration if you’re trying to impress with your culinary skills this Autumn. 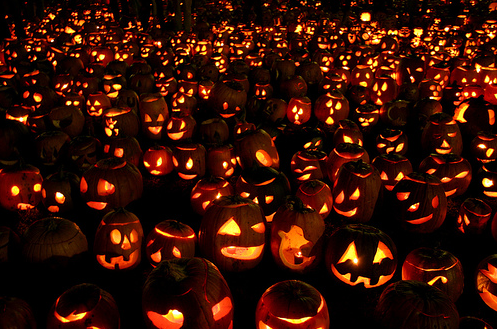 Well fear not, if it’s a ghoulish delight that you’re after for the perfect Halloween party next month, its time to invest! We’ve found this devilishly brilliant bakers airbrush kit from Shesto that may just put you into the highest rankings when it comes to sweet treats! Using the Cassie Brown Cake Craft Airbrush Kit, this special cake decoration technique gives beautiful, professional-looking results every time, and you don’t have to be an experienced chef or baker to use it (phew!) . The airbrush kit is quick and simple to set up, use and clean, and comes with three mixable colours, so it’s ready to go – straight out of the box. Why all the fuss about airbrushing?! Airbrushing is a relatively new cake decorating technique and is one of the quickest and easiest ways of adding colour to a cake, eliminating the need to work with multiple pieces of coloured sugar paste or royal icing, and at the same time reducing waste and mess. The liquid cake colours are sprayed smoothly through the tip of the precisely-designed airbrush using compressed air, giving the user complete control over the design and finish. So if you fancy yourself as an ‘artisan artiste’ this winter, we would highly recommend that you give this a go! Where can I buy this amazing contraption?! 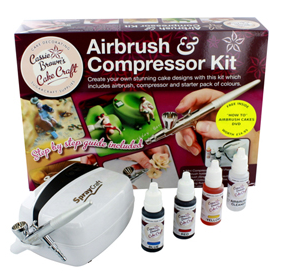 The Cassie Brown Cake Craft Airbrush Kit is available directly fromwww.shesto.com, or from leading craft and kitchenware retailers including Hobbycraft, The Range and craft and cake decorating shops nationwide, at a suggested retail price of £99.99. 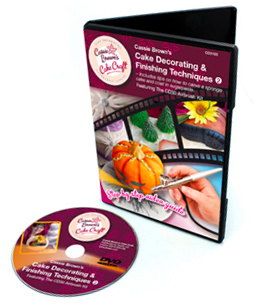 And just in time for some ‘spooktacular’ spell binding cake decorating, Cassie Brown has also brought out a “How-To Christmas and Halloween DVD (£14.95) featuring top tips from the award-winning sugar craft expert on how to make stunning seasonal cakes. 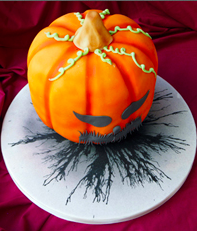 So what are you waiting for… get baking and share with us your creative creations! 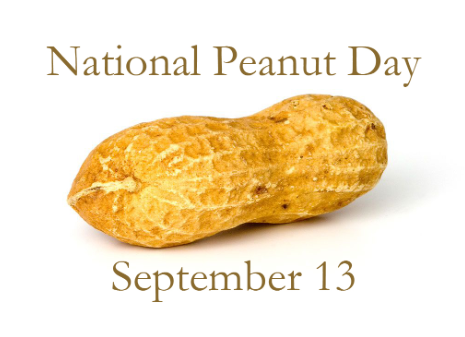 There’s a new date for your diary people and its called NATIONAL PEANUT DAY!! 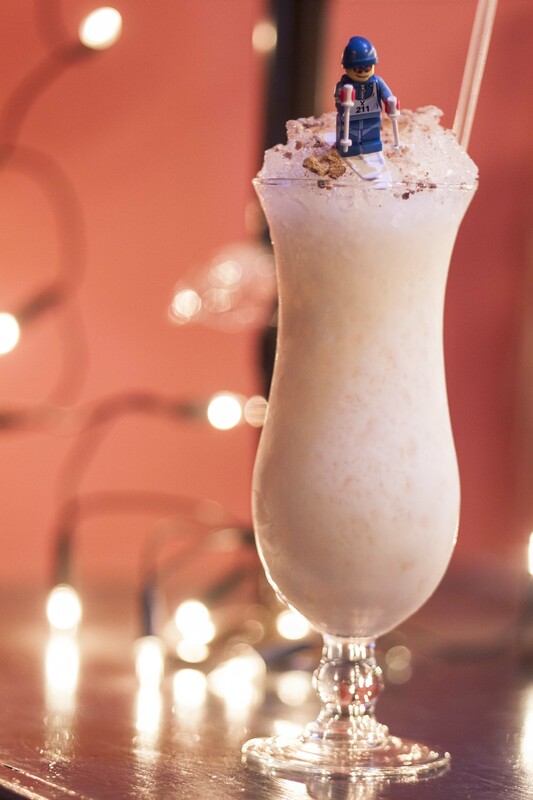 To celebrate, Foundation Bar in Covent Garden are launching ‘Big Peanuts’ a brand new peanut cocktail oozing with nutty goodness! Foundation Bar mixologist David Kay whipped up Big Peanuts cocktail and describes it as a ‘bold nutty cocktail comprising of a generous helping of creamy peanut butter mixed with Baileys, Butterscotch Schnapps, and a lot of vodka.’ YUM! Why we’re celebrating National Peanut Day!! Well, there’s a reason why peanuts have a whole day dedicated to them and that’s because they are more than just nutty. The peanut, isn’t really a nut at all. Technically, peanuts are legumes—simple dry fruits in the same family as peas and beans. With all this goodness and the peanuts visit to the moon it was clearly a no-brainer to create a cocktail devoted to the little guy. So if you fancy going nuts this National Peanut Day head down to Foundation Bar, Covent Garden where Big Peanuts will be launched on Friday 13th September. But if you fancy just going plain nuts at home, then here’s the recipe for “Big Peanuts…” so go on, give it a go and GO NUTS today! 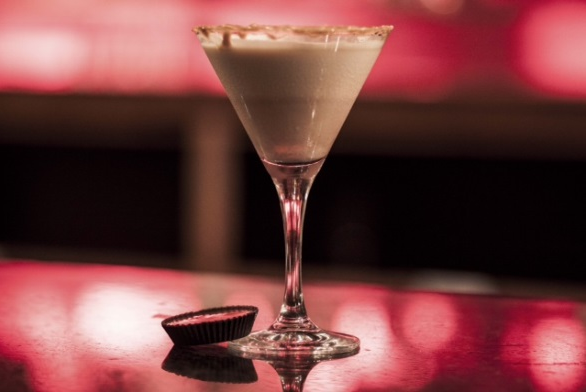 Shake all ingredients with ice and pour into a peanut butter rimmed martini glass. Serve with a Reese’s Peanut Butter Cup. And if that doesn’t float your boat then how about celebrating like this: bake peanut butter cookies, watch some sport with a bag of whole peanuts, enjoy a nice chunk of peanut butter fudge, or make a peanut butter and jelly/jam sandwich for lunch! But remember, today, GO NUTS!!!! Ever wondered what it would be like to live the high life? Would your ultimate indulgence be a swanky dinner at a top restaurant? A shopping spree at a shop on Bond Street or maybe one of the ultimate spa treatments – the key to relaxation… Everyone’s perception of luxury is different, so its time to get your thinking caps on and think up your wish list as you may be in with a chance of winning one of these stunning prizes. 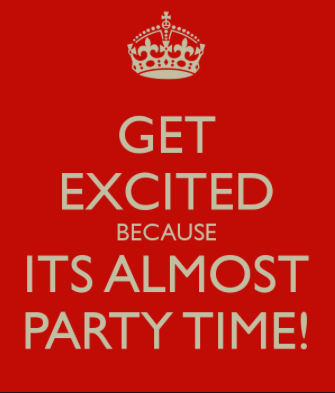 Its time to wish our friends at Grosvenor House Apartments on Park Lane a very Happy 1st Birthday. And to celebrate they want to share some of the excitement with you! As part of the celebrations this month, Grosvenor House Apartments is going to bring the amazing knowledge of its expert concierge team to the lovely people of London! This team will be granting ‘one wish’ a week for members of the public where the lucky weekly winner will have a chance to win one of these ultimate luxury prizes! So how do you win…its totally simple! 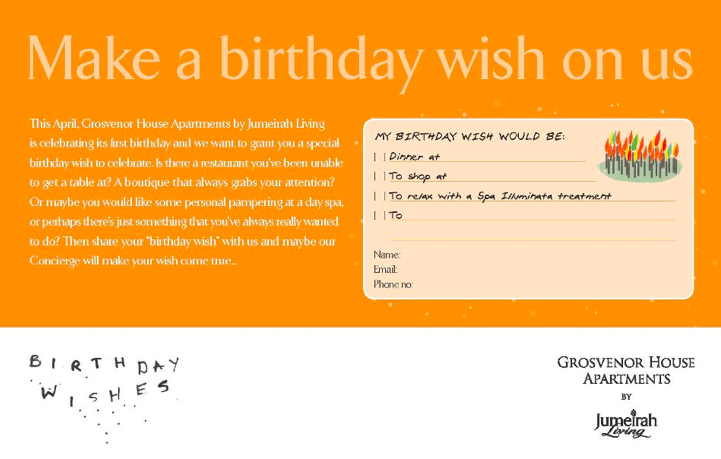 All you have to do is tweet @GHA_JumeirahLiv , post your wish on their Facebook wall or visit the lobby to fill out a ‘wish card’, and fingers crossed you might be the Londoner that wins the wish you’ve always been after! So who are these lovely people giving away this amazing prize? 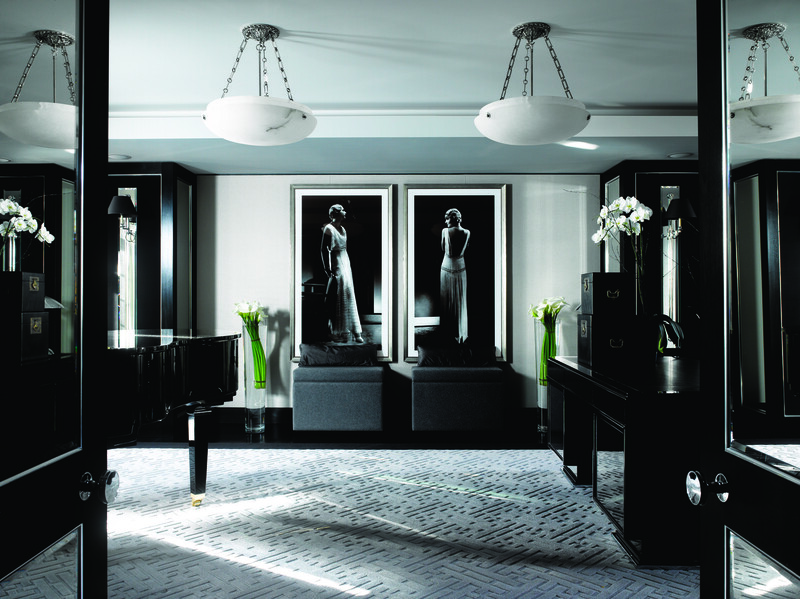 Grosvenor House Apartments by Jumeirah Living is centrally located in one of the most exclusive areas of London on Park Lane in the heart of Mayfair, opposite Hyde Park and close to Jumeirah Carlton Tower Hotel and Knightsbridge. 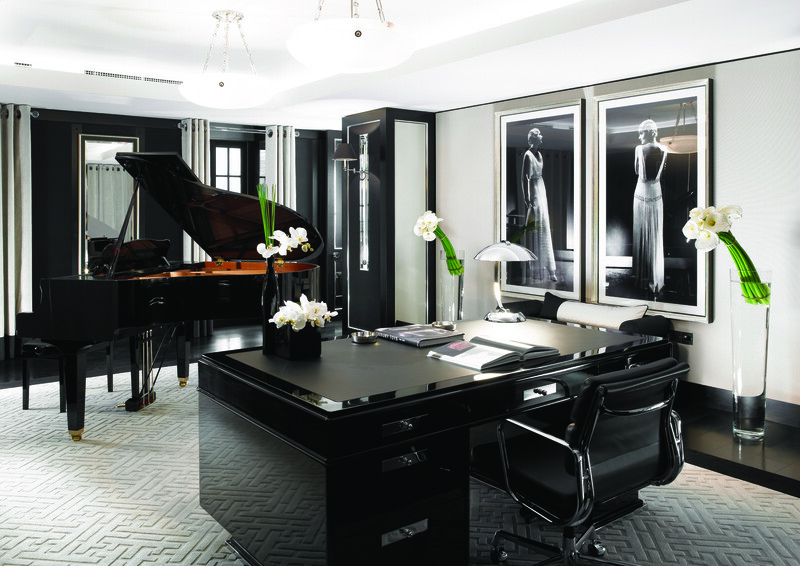 The property’s 131 apartments range from studios through to a five-bedroom penthouse (over 450 square metres), providing the largest serviced luxury accommodation in London in a prime and exclusive area. Apartments may be reserved for either short or long stays and are priced accordingly. If you decide to stay at one of these AMAZING apartments this month, you’ll have an extra chance to win a fabulous prize! Each arriving guest will have the chance to unwrap one layer of a giant ‘pass the parcel’. With the opportunity to win luxurious spa treatments, bottles of champagne, exclusive dinners or a fabulous holiday, this is one party game not to miss out on! So there you have it – its so easy to enter, its just not worth missing out on, so make sure you get your wish over to them today!